Gas stations in Miami are simply a fact of life. Gone are the days when gas stations only sold gasoline. Now gas stations offer a lot more. As a result, there are more potential hazards and dangers at gas stations. The Personal Injury Lawyers at the Wolfson Law Firm in Miami have helped clients recover for their injuries in Miami for over 60 years. Our Gas Station Accident Injury Attorneys in Miami can help you if you were injured at a gas station. Just call us today at (305) 285-1115 for your free consultation and remember, there is no fee unless we recover for you. Each day in Miami, thousands and thousands of folks use these gas stations. As such, gas station accident injuries occur. That is where the Gas Station Injury Lawyers at the Wolfson Law Firm in Miami can help you and your loved ones. Trip and falls – Gas station trip and falls can be caused by uncollected garbage and debris; gas tank lids in the ground that are not properly placed; unrepaired holes including in the surrounding grass and grounds; uneven or cracked pavement; and poorly designed gas pump stations. Our lawyers can help you understand what to do after a slip and fall or trip and fall accident. Negligent Security – Gas station injuries and fatalities can and do occur as the result criminal actions by third parties. If the gas station owner is on notice of foreseeable criminal activity such as assaults, loitering, and/or robberies, they should provide adequate on-premises security. 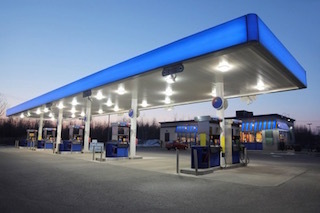 If the gas station owners fail to provide a reasonably safe premises and personal injuries or wrongful death occurs, the gas station may be liable for the damages caused in a premises liability claim. Defective Gas Pump Nozzles – Gas station injuries can include cuts and lacerations from the metal portion of gas pumps; gas pump malfunctions can also cause cuts as well as wrist, hand, arm or shoulder injuries; and the gas hose, if not properly maintained and timely replaced can twist and snap into the customer causing injuries to the body or face. Slip and Falls – Gas station slip and falls can be caused by spilled soap, water and fluids in the restrooms; accumulated gas and oil near the pumps; slippery ramps; and spilled food and drink products. Let our Miami Slip and Fall Lawyers tell you what you need to know about slip and fall accidents. Gas Station Employees - Gas station owners are generally held responsible for the actions of their employees. If you are injured by the actions of an abusive gas station employee, you should contact the Miami Personal Injury Lawyers at the Wolfson Law Firm to discuss your claim. Gas Burns – Gas station burns can occur through excessive contact with diesel or gasoline products as a result of sprays, leaking hoses and gas pump handles. Explosions and fires – If you are injured or lost a loved one due to a gas station fire or explosion, you should make sure that your Miami personal injury lawyer fully investigates all possible causes of your tragic loss. Depending on the results of that investigation, you may have a claim for serious injuries or wrongful death. Sometimes the crash is the fault of the drivers. But there is a possibility that the gas pump area is poorly designed or poorly maintained. If you are injured in a car wreck in a Miami gas station, the potential fault of the gas station owner should always be investigated. If you are injured in a car accident in a Miami gas station you should call the Miami Car Accident Lawyers and Attorneys at the Wolfson Law Firm. The Wolfson Law Firm has helped victims of personal injury and intentional acts for over six decades. Our Managing Attorney Jonah Wolfson served his community as a Miami Beach City Commissioner for eight years. He is also a bilingual personal injury attorney in Miami. Jonah has served his personal injury clients and Miami Beach constituents in both English and Spanish for many years. He is available to help you now. All you have to do is call (305) 285-1115 today. The Miami Injury Attorneys at the Wolfson Law Firm have represented clients injured at gas stations in Florida including the communities of Doral, Brickell, Little Havana, South Miami, Coral Gables, Homestead, Aventura, North Miami, Princeton, Medley, Miami Lakes, Kendall, and Miami Gardens. We look forward to helping you too. Our personal injury attorneys are also available by appointment in our Miami, Fort Lauderdale and West Palm Beach offices. In addition, we now have an office in Fort Myers. The Fort Myers gas station accident attorneys at the Wolfson Law Firm are located at 3049 Cleveland Ave #140 in Fort Myers. We offer full personal injury representation to all victims of negligence at Southwest Florida gas stations in the localities of Estero, North Fort Myers, Lehigh Acres, Cape Coral, Lee County, Naples, Fort Myers, Fort Myers Shores, Bonita Springs, Marco Island, Collier County, Golden Gate, Immokalee, and Sanibel. Call our Fort Myers gas station accident attorneys for your confidential consultation at no cost by calling (239) 777-9954. We will never charge you a fee unless we acquire financial compensation for you first.